Create the perfect polished look in the Candice pump from Trotters. Premium leather or suede uppers with patent accents. Features an adjustable buckle closure with gore at mary jane strap. Soft and breathable textile linings. Lightly cushioned footbed. Tonal patent wrapped blocked heel. Durable rubber outsole. Imported. Measurements: Heel Height: 2 1 4 in Weight: 10 oz Product measurements were taken using size 8.5, width M (B). Please note that measurements may vary by size. Weight of footwear is based on a single item, not a pair. Give your nine-to-five ensemble a stylish twist with the Trotters Langley slip-on wedge. Slip-on design. Upper available in a combination of: &amp#183 Kid suede leather with patent leather toe cap and wedge. 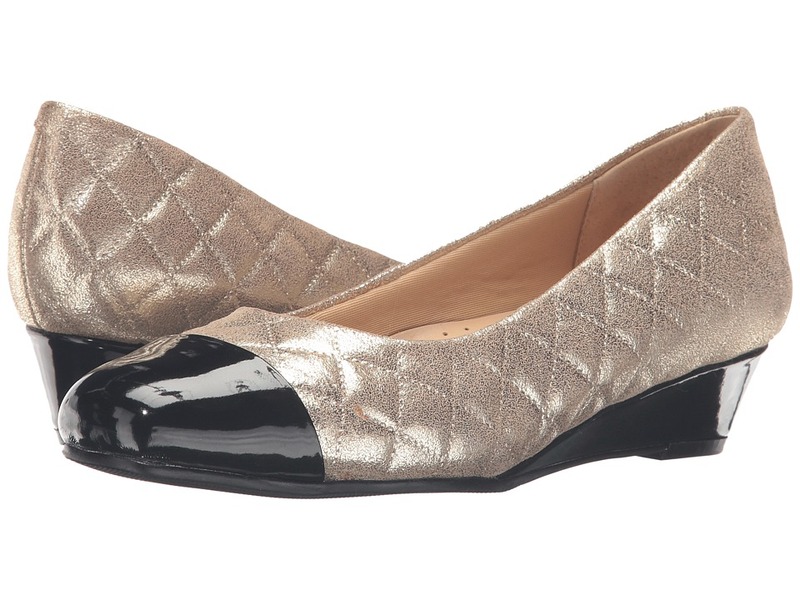 &amp#183 Metallic, quilted leather with pearlized patent leather toe cap and wedge. &amp#183 Nappa leather with patent leather toe cap and wedge. &amp#183 Kid suede leather with textured leather toe cap and patent leather wedge. Materials called out in the color name. Antimicrobial tricot fabric lining with foam backing offers next-to-foot comfort. Cushioned, fabric-covered footbed supplies daylong comfort. Wrapped wedge heel. Lightweight, slip-resistant, flexible rubber outsole. Imported. Measurements: Heel Height: 1 1 4 in Weight: 8 oz Product measurements were taken using size 8, width M (B). Please note that measurements may vary by size. Weight of footwear is based on a single item, not a pair. 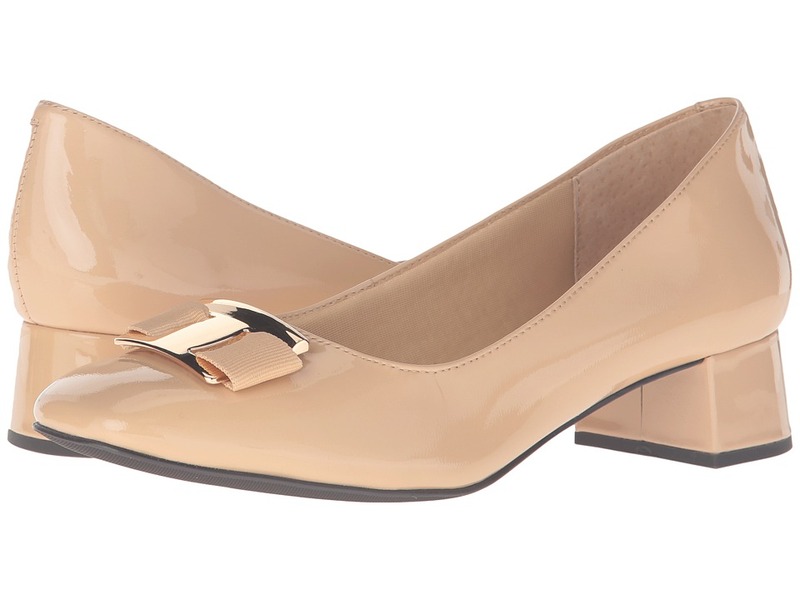 Keep your look classic in the timeless silhouette of the Trotters Louise block-heeled pump. Slip-in design. Available in patent leather and kid leather uppers. Material called out in the color name. Decorative buckle accent at vamp. Antimicrobial tricot fabric lining with foam backing offers next-to-foot comfort. Cushioned, fabric-covered footbed supplies daylong comfort. Man-made block heel. Synthetic rubber sole. Imported. Measurements: Heel Height: 1 1 4 in Weight: 10 oz Product measurements were taken using size 9, width W (D). Please note that measurements may vary by size. Weight of footwear is based on a single item, not a pair. Bring on the knitted sweaters and scarves that will perfectly pair with the fall ready Luxury bootie. 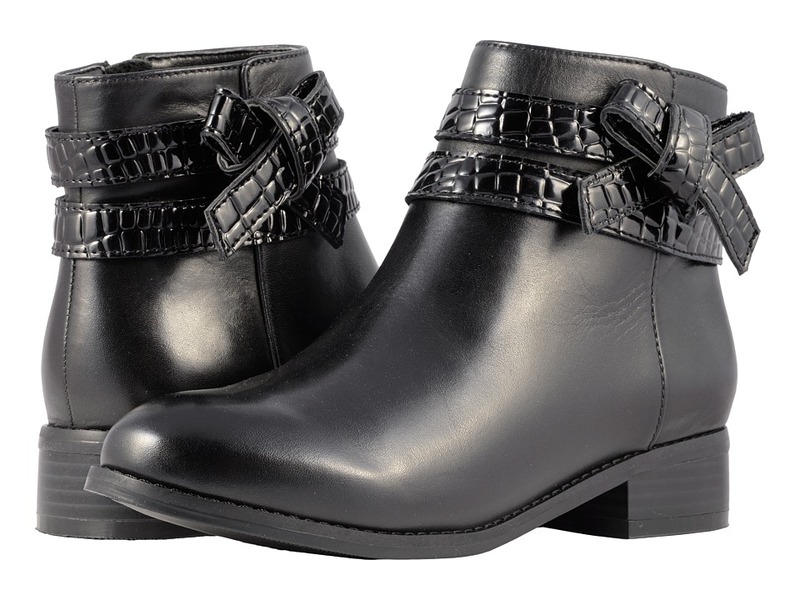 Premium leather uppers with a round and decorative wrap-around straps and bow at ankle. A medial side zipper provides an easy on-and-off. Antimicrobial, foam-backed velvet linings for a cozy fit. Generously cushioned footbed for added comfort. Stylish stacked heel. Lightweight and flexible rubberized outsole. Imported. Measurements: Heel Height: 1 1 4 in Weight: 14 oz Circumference: 10 1 2 in Shaft: 5 1 2 in Product measurements were taken using size 10, width N (AA). Please note that measurements may vary by size. Weight of footwear is based on a single item, not a pair. Let the Lyra work its magic to leave you feeling fashionable and comfortable from day to night! Premium leather upper decorative straps at shaft and a round toe. Full length medial side zipper allows for easy on and off. Antimicrobial fabric lining with foam backing for added comfort. Soft fabric footbed lining with a cushioned polyurethane footbed. Slip-resistant, lightweight, and flexible rubberized outsole. for more information on the shaft circumference. Imported. Measurements: Heel Height: 1 in Weight: 1 lb 2 oz Circumference: 16 in Shaft: 15 3 4 in Platform Height: 1 4 in Product measurements were taken using size 8, width W (D). Please note that measurements may vary by size. Weight of footwear is based on a single item, not a pair. 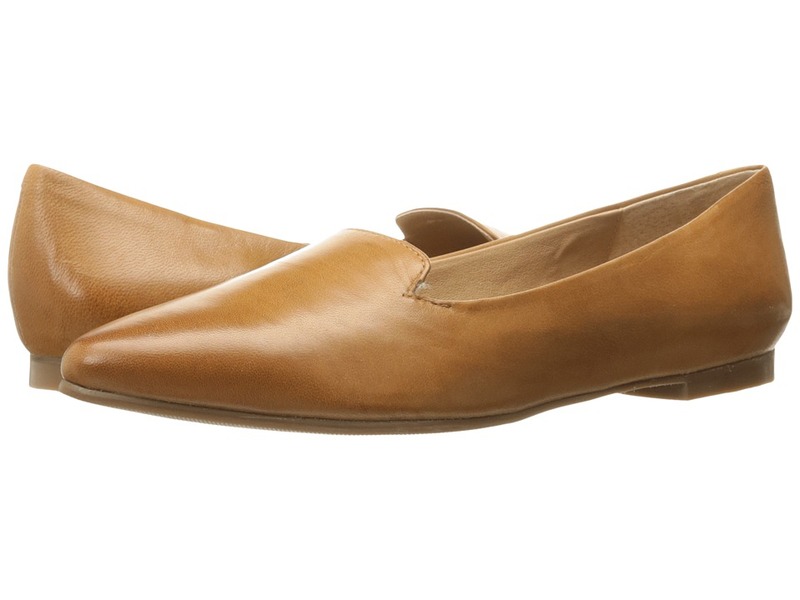 Get the perfect combination of class and comfort in the easy slip-on Caroline loafer from Trotters. Soft premium leather uppers with a round toe and tassels at vamp. Easy slip-on with dual goring at instep for a cozy fit. Smooth and breathable leather linings. Generously cushioned footbed brings all-day support. Lightweight and flexible man-made outsole. Imported. Measurements: Heel Height: 1 2 in Weight: 8 oz Product measurements were taken using size 10, width N (AA). Please note that measurements may vary by size. Weight of footwear is based on a single item, not a pair. 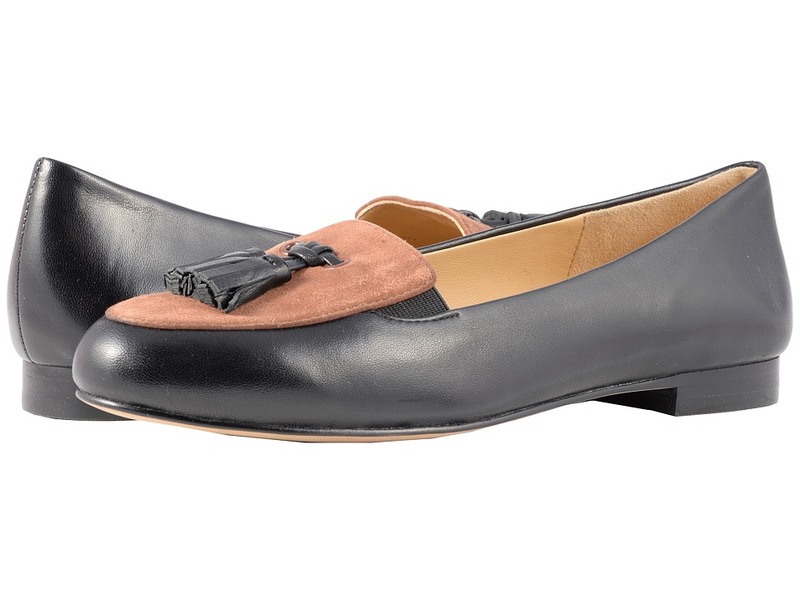 Stay simple and sleek with the Harlowe flat. Leather or micro suede uppers with a pointed toe. Soft synthetic linings. Nicely cushioned footbed. Flexible man-made outsole. Imported. Measurements: Weight: 5.4 oz Product measurements were taken using size 8.5, width N (AA). Please note that measurements may vary by size. Weight of footwear is based on a single item, not a pair. Keep comfort at the forefront in the cute and casual Kendra sandal. Leather uppers with an open toe. 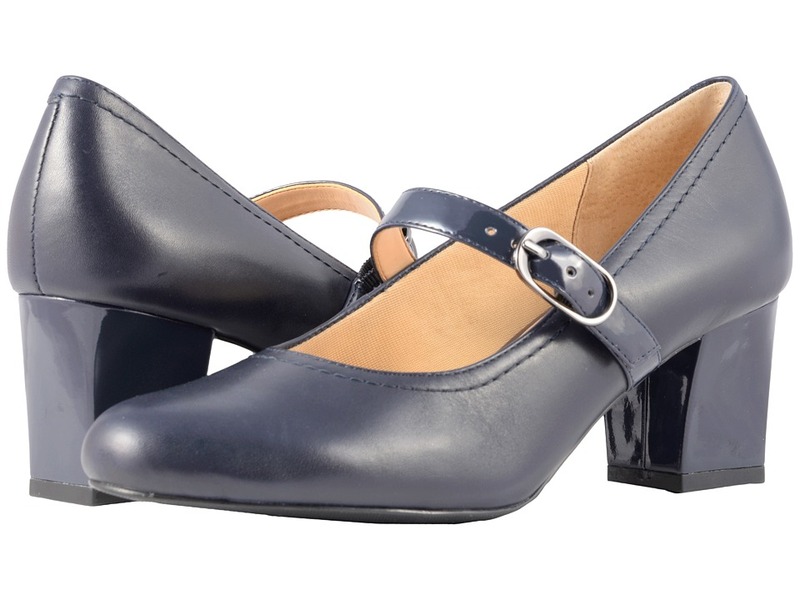 Features three hook-and-loop straps at top-of-foot with a buckle closure at heel strap. 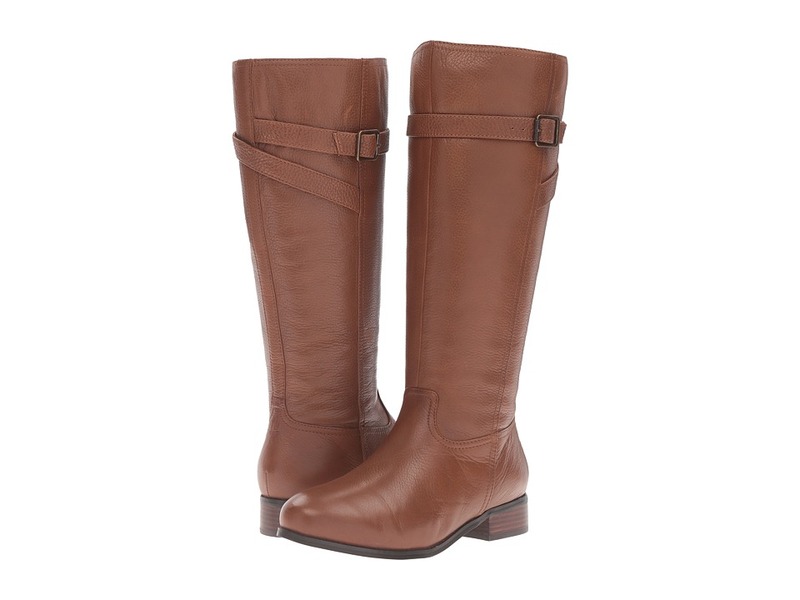 Soft and breathable leather linings. Features a contoured and cushioned EVA footbed for all-day support. Lightweight and flexible rubber outsole. Imported. Measurements: Heel Height: 1 1 2 in Weight: 7.2 oz Product measurements were taken using size 5, width M (B). Please note that measurements may vary by size. Weight of footwear is based on a single item, not a pair. 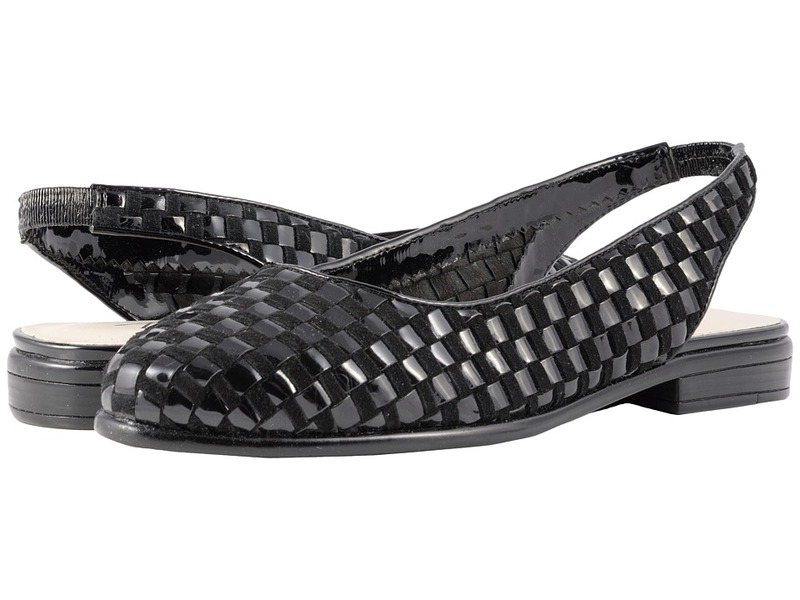 The lovely handwoven Lucy is sure to update any look with its sophisticated style. Premium woven leather uppers with a round toe. 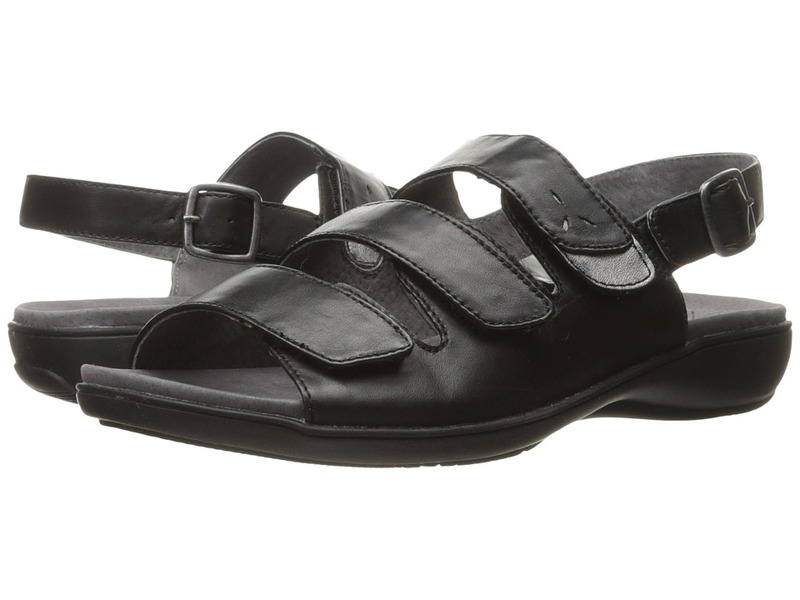 Easy slip-on style with an elasticized slingback strap. Partially unlined microfiber linings at vamp. Lightly cushioned polyurethane footbed. Lightweight and flexible rubberized outsole. Imported. Measurements: Heel Height: 1 in Weight: 7 oz Product measurements were taken using size 8.5, width W (D). Please note that measurements may vary by size. Weight of footwear is based on a single item, not a pair.